I dropped "Bluetooth" from the title of this thread because the thread instead evolved into the MySensors alternative to Bluetooth. How hard, or how much work, would it be to create a version of the MySensors gateway that works on one of those dongles? Select "serial connection" in Domoticz? The right question, imho, would be: can you expect from this dongle the range you would expect from a gateway ?? regarding chip antenna performance and maybe its gnd counterpoise..
@Toyman yep, this confirms what i said, not difficult to access. I didn't read the description..just looking at the pcb layout was enough to tell me poor rf range + no basic usb spec design rules (latter point is maybe not the most critical for most of people, but it just shows 1) designer wasn't aware ?? 2) this is what you get for cheap money, whereas missing parts would have cost few cents..). Just saying, because maybe this dongle can work well enough for some people. @scalz actually, it might be ideal as a REPEATER given the form-factor. You just insertt it into any cheap USB charger and voila. @neverdie I would suggest holding off on purchasing a new nRF52840-PDK until the final silicon is released. What about moving the PID-related discussion to a dedicated thread as this one is already excessively long and useful information will get lost soon ? It was very hard to extrude it, so I always seemed to either underextrude or overstrude. I found it very hard to get the right amount exactly where it should go by just manually pressing the plunger on the solder paste syringe that the material came in. I just ordered a stencil together with my test PCB, I guess it's the way to go given the now very low prices of stencils (mini-stencils at 9.9$ at Seeed and I just paid 7$ + 2$ PCB at JLCPCB, same company than EasyEDA). We had the same idea at the same time. Hello guys. Finally I've got some nrf51288 boards, like used here: https://www.openhardware.io/view/510/Button-cell-Temperature-Humidity-sensor I've hooked it up to ST Link, uploaded test sketch and everything worked fine. Then I tried to put it to sleep and measure power consumption. The best number I'm getting is 550uA... And it seems like something is completely wrong with this. Either my readings, or some bug in new version of Mysensors library or nrf5 arduino core. To be sure it's not particular chip's bug I've checked both I've got, no differences. I've also checked current on stock BLE firmware from manufacturer it was running when they came. It was around 120uA - 200uA while presenting via bluetooth. So I guess it can't be that my readings are completely wrong. But then how can it be that bluetooth presenting consume less current than sleeping? For now I couldn't find a solution or any hint for this, so I apologize If I am missing something, but I need help. EDIT: I might just delete this post, but maybe someone will search for the same solution. Long story short 600uA extra is due to the lack of low frequency crystal onboard. It makes HFCLK to not shutdown and draws current during a sleep. I knew, that synth RTC will take more current but I didn't expect it to be that much. To summarize, what I have for now. While delay(2000); consumes 4mA, after stopping RTC and HFCLK and going to sleep as expected consumes less than 10uA (my meter can't read less than that so it shows just 0). I know that this code is wrong, as it doesn't enable peripherals after wake up, and it I just took chunks of code from different places trying to disable whatever is running by mysensors and consumes that extra current. So in sleep this code consumes 200-230uA. It doesn't have 32KHz crystal, but I program it using "Crystal Oscillator" from board menu of nrf5 arduino core. As far as I understand some of the periferals and/or interrupts and/or timers is used by Mysensors stack and doesn't shut down when going to sleep, so it tries to use RTC, which is not available, so it wokes HFCLK, so it consumes extra current. A lot more than it should in sleep mode. I need help with this, as I am planning to build a bucnh of simple window sensors on this board and they doesn't require wake by timer, but will be woken by extrnal pin interrupt. But for now I just can't use Mysensors sleep function to do this, because as I have described it works not as expected. Hope to get some response from you guys. Great work @monte, thanks for sharing. Just to set your expectations correctly: Very few MySensors users have tried nrf5 so far, so the combined experience is quite low. Hopefully someone has an idea on how to help you, but it could very well be that you're the community's most experienced user in this area thanks to your work. @monte thé HFCLK is on because of a hardware bug in nrf51822 when you want to wake up using pin interrupt. You have to use PORT interrupt to go really low (around 5uA). I made some (dirty) test code to validate that with MySensors but there was not much interest in that in the forum so I switched to something else. I will not use nrf51822 but nrf52832/40, they became really cheap now and don't have this hardware bug. @nca78 By the way, were you ever able to get multiple different interrupts working? Here we are a year later, and I guess there's still no final silicon for the nRF52840? @neverdie it works with the code I posted. 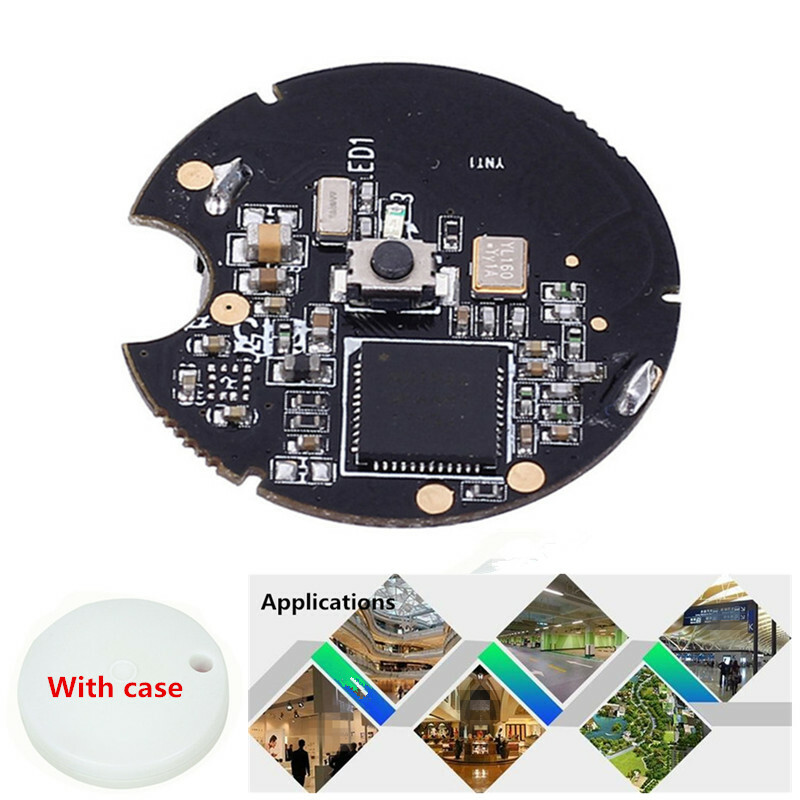 There are a few modules available with nrf52840 now so I guess final silicon is out. But it's only available in WCSP format I think so you won't see the chip alone. @nca78 well, after 2 nights of intense trying and failing I've got code to work as expected. And yes, it works with PORT interrupt, its kinda more code for you to write in compare to simply using attachInterrupt function, but I'm okay with that. For me double the price of 52832 compared to 51822 is significant. And for now, for a simple sensor stuff as we do with mysensors I don't really see any advantages except that interrupt bug fixed. line 290 of MyHwNRF5.cpp should contain: NRF_UART0->ENABLE=0; and line 327: NRF_UART0->ENABLE=1; respectively. That completely disables UART on nrf51822. I will post my complete sketch later, when I will finish it, maybe someone who strugles as I did will find it useful. Also I think we need to somehow combine all examples that were posted in this thread or at least put a list of them with links, because looking through 1654 posts is not an easy task, especially if you not sure what you are looking for exactly. @monte But you solve your issue with the WT15822 board? Can you please share your sketch? Is the range good of the WT15822 board? @smilvert I think I solved issues I mentioned. But I don't have final code yet as I am waiting for parts to arrive for my board. But I think there is no problem using WT51822 board except that you'll have to manually set PORT interrupt and also set pin SENSE register which is cannot be done with arduino function pinMode(). So I guess you can order PCBs if you want, I'm going to post final sketch with explanations at the end of the month.